I applied to volunteer at the Toronto International Film Festival 2018 for a number of reasons; my ever-increasing interest in the organisation of film festivals, and how this varies from festival-to-festival (from the likes of Glasgow Film Festival to smaller events such as Discovery Film Festival (in Dundee), Africa in Motion (in Glasgow and Edinburgh), and ReelHeART Film and Screenplay Festival (in Toronto)); having recently moved to Toronto, I thought getting involved with the biggest festival around these parts would offer opportunities to network with like-minded film aficionados; and most importantly, free cinema passes for every shift I work (jk! But definitely a good perk). Orientation was held early in August 2018, where I sat alongside 500 other keen beans, hearing the history of the festival and what will be required of us during the event this year. Short interviews afterwards provided us with an opportunity to express a preference for which venues we’d be stationed at for our shifts. I chose TIFF Bell Lightbox (the home of TIFF) and Scotiabank Theatre, both being the largest venues and busiest places to volunteer – throwing myself in at the deep end. We also had the option to attend training for each of our venues, where we were given a guided tour around the different cinema spaces, and told about our responsibilities for each post. As one of the 3000 volunteers required for the festival, I picked up my volunteer T-shirt (which is bright orange, you canny miss me), a lanyard for my photo ID card, and a wee TIFF shopper bag the week before the festival. My first shift was on Saturday 8 September 2018, the 3rd day of the festival. I had opted to work at the Lightbox, and it was there I experienced the full scale of the event as I stepped up out of St Andrew subway station and was greeted by the TIFF sign smack bang in the middle of the street. Opening weekend meant that part of King Street was closed off to cars, and opened up to festival-goers, with food vans, activities, and freebies lining the street. The first half of this shift was spent directing traffic on the 3rd floor, and after my break a few of us were sent to help at a private event in the penthouse of the Lightbox. It was a Refinery29-sponsored event, and the “Shatterbox” screening had featured short films by eight female directors (see here for my rundown of these selected shorts), and the afterparty featured around 450 invited guests. For my second shift I was based at Scotiabank Theatre as an “inside” person, meaning I was at the cinemas assisting with ticketing and/or ushering. I was lucky enough to be the usher in a screening of Ghost Fleet (2018, USA). This documentary followed Patima Tungpuchayakul, a human rights activist, and 2017 Nobel Peace Prize Nominee, from Thailand, on her team’s quest to bring home former fishing boat slaves from Indonesian Islands. They have successfully brought home over 4,000 Thai fishermen. After the film ended, the documentary’s filmmakers Shannon Service and Jeffrey Waldron were joined onstage by Patima herself for a brief Q&A session, and they then handed out information cards to the audience as they left the cinema, who hugged and thanked Patima as they passed by. 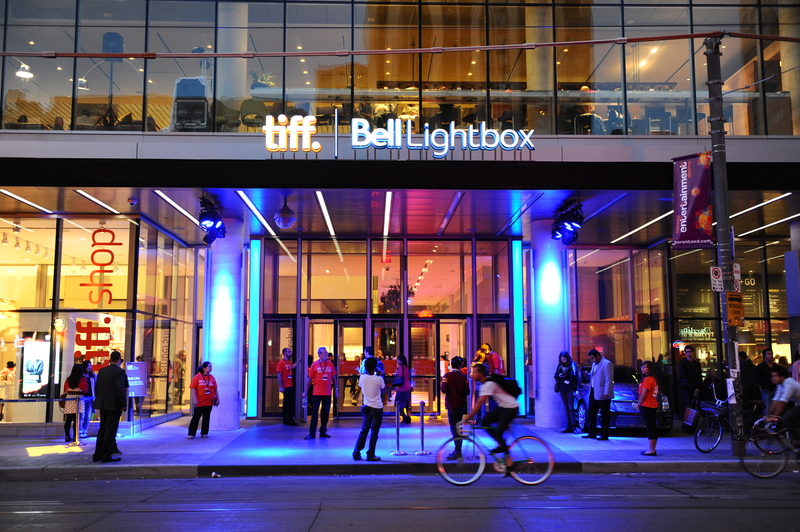 For my remaining two shifts I was based at TIFF Bell Lightbox, where I was an usher for some of the last screenings of the festival, seeing films like Screwdriver (Jarbawi, Palestine, 2018),where a recently released Palestinian prisoner has to adapt to modern life 15 years after his arrest, and Tel Aviv on Fire (Zoabi, Israel, 2018), in which an inexperienced Palestinian writer is under pressure to write a happy ending in a soap opera to appease an Israeli army general. Reblogged this on Cinema World.